This strawberry lemonade recipe is easy enough for a kid’s lemonade stand and they can make it all by themselves! Customers will love this fresh lemonade recipe. Every summer my kids and I love to buy bottles of premade pink lemonade for the nights we grill out on the patio. I try to buy the brand that has the fewest amount of ingredients, but even still “pink” isn’t exactly a real flavor. 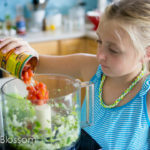 I think one of the very best parts about cooking with kids is introducing them to what an all-natural, homemade version of some of their favorite foods looks like when you make it from scratch. My girls were surprised to hear that the pink lemonades they love often have raspberry flavoring to give it that color. 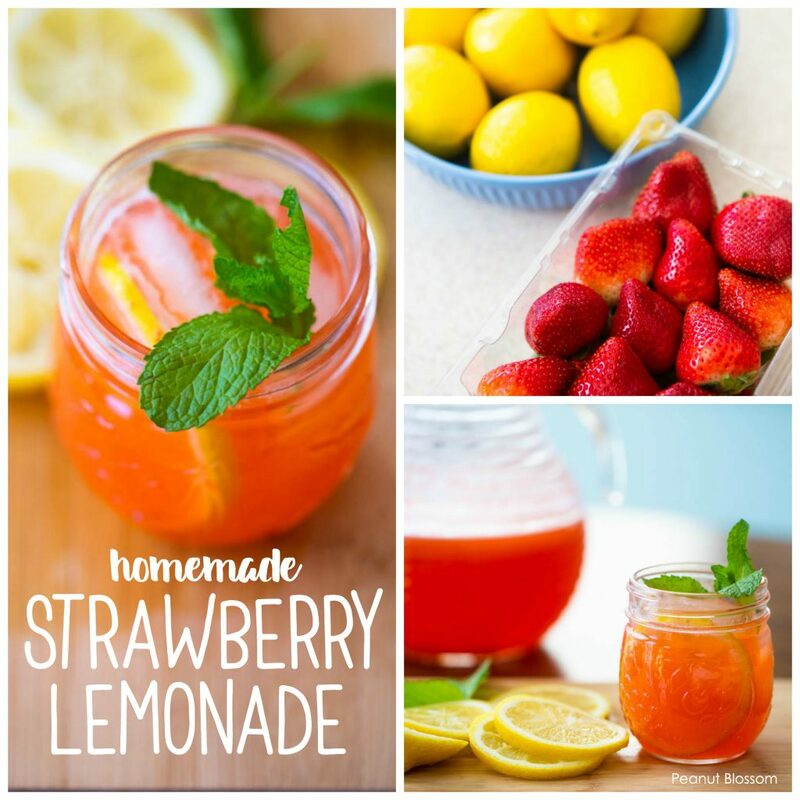 I thought it would be fun to try making a homemade strawberry lemonade recipe with them this spring so they could see the fresh ingredients involved in making their favorite summer drink. What kind of strawberries do we need for this strawberry lemonade recipe? This strawberry lemonade is at it’s best when you can buy fresh strawberries from your local pick-your-own farm or farmer’s market. This year, I just couldn’t wait. Our strawberries are just barely coming into season here in the Carolinas and the farmer’s market hasn’t opened yet. I had to buy a quart of strawberries from the grocery store instead but it still worked out great. 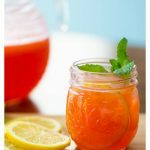 If you need something to brighten up a dreary long winter, you could easily make this strawberry lemonade recipe with frozen strawberries that have been thawed, too. It would make a fun treat to enjoy with a tropical-themed dinner menu to spice things up! Can we make this strawberry lemonade recipe ahead of time? Absolutely! To keep things nice and fresh, I would make it just a day or so in advance of when you will need it. You may find the strawberry juice settles as it sits in the fridge, simply give it a good stir and you’re ready to go. What are some fun garnishes for our strawberry lemonade? The obvious garnish would be to add some whole strawberries or lemon slices to your cup so guests know the flavors to expect. Basil: this is one of my favorite combos with strawberries! In fact, a basil garnish would help the drink fit right in with this kid-friendly Italian dinner menu. Is this strawberry lemonade recipe easy enough for kids to make? For sure! 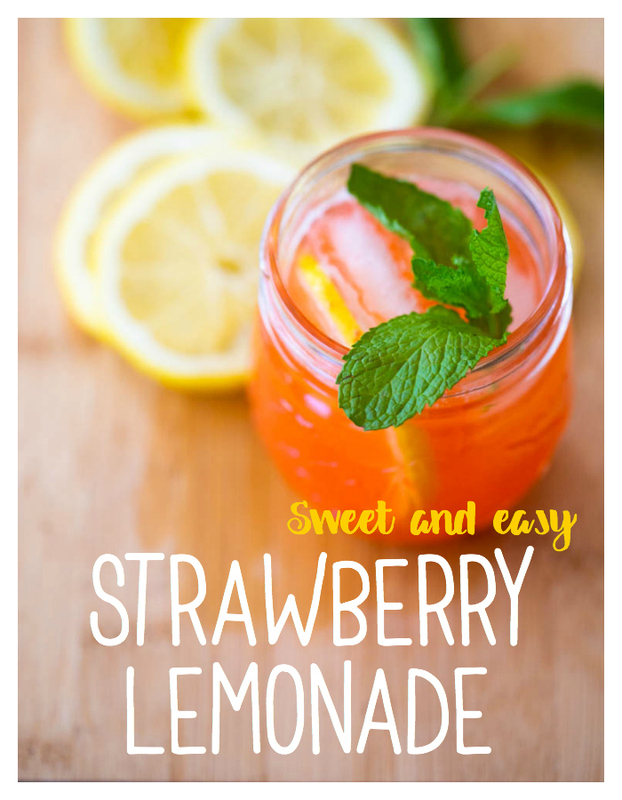 Kids are totally capable of making this easy strawberry lemonade all on their own. I wrote the recipe below to match the same format as my cookbook for kids. I want you to be able to print this recipe off and hand it to your child. Let them take the lead on making it and wait for them to ask you for the help they need. 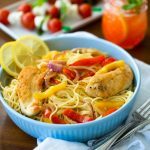 If you think they will enjoy being in charge in the kitchen, you might want to check out this simple Italian dinner menu I wrote to go with this strawberry lemonade. 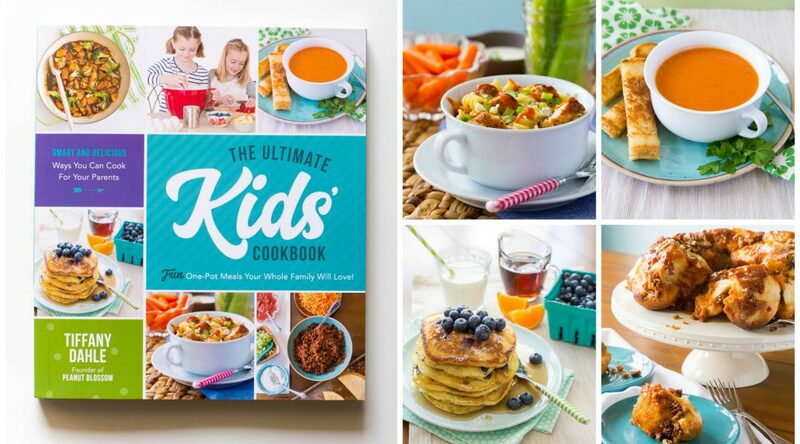 All the recipes there use the same kid-friendly format, too!